Sunshine Playroom » Blog Archive » Alternative Media: Are You Informed? 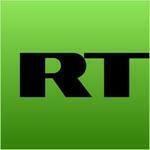 Alternative Media: Are You Informed? In this age of 24 hour rolling news, are you being honestly informed on what is happening in the world? Are you being sold a truthful picture of world events, without a conflict of interests, or political bias? Do you trust the institutions that broadcast into your home on a daily basis, and feed you headlines in daily newspapers? Do you ever seek out a different view, or question what you’re being fed by seeking out other opinions? I am going to suggest and recommend that now, more than ever, it’s time to do just that. Not just on a whim, or out of curiosity, but on a daily basis. If you’re not fully informed, how can you make an informed judgement on events that affect every part of your life and future? What Is Wrong With Mainstream Media? I’m sure most of you will recognise this ‘style’ of reporting, and witness it every day on the BBC, Sky, and similar outlets. The short answer is it’s important, very important. Many people felt lied to and cheated when the US and UK went to war in Afghanistan and Iraq, based on flimsy ‘evidence’, or advice, from our intelligence services. If we had known the full picture before these campaigns were signed up to, many would like to think we’d have taken a different path. For example, recently we’ve seen the US and UK governments pushing for military intervention in Syria. The result of any such action will inevitably lead to massive loss of innocent civilian life. Equally, it will also cost the taxpayer huge amounts of money. Yes, you and I pay for these wars with our taxes. At a time we’re being told by our governments we have to accept “Austerity”, we should be questioning with precision detail how every tax pound, of our money is spent. We should be sure, without doubt, that there’s very good and honest reasons for doing so. So, a guy with close to a million dollars worth of stock in a weapons manufacturer (already paying him a handsome salary) thinks we should be going to war with Syria. That’s outrageous bias, if you ask me, and a clear conflict of interests. And I’m sure you won’t hear Sky, or the BBC (for example) telling you this. A good question, and a simple answer would be anything outside of the mainstream channels of television, and press. So that’s foreign news channels, YouTube videos, and internet blogs and forums. Don’t make a false assumption that because you are not seeing some of the more ‘sensational’ reporting found in these places in the day to day corporate media, that it follows none of it is true. Sure, there will be some stuff and nonsense you’ll have to wade through, but you’ll come to see that this is equally true of conventional media. I’m not here to tell you what alternative media to watch, or read, that should always be a choice left to the individual. I can though give you some suggestions, and recommendations. Don’t ever let people tell you what news to watch (or accept), decide that yourself. Do your own homework, at the end of the day. RT offers a refreshing mix of current “rolling” news, documentaries, and themed shows and debates. Two such shows I find unmissable are Breaking The Set and Keiser Report, which both break through the empty rhetoric that other news outlets serve up. The Keiser Report, in particular, continues to shine a light on financial fraud within Wall Street, The City’s square mile, and our governments. RT News is also available as a free iPhone app from iTunes here. Of course there are other 24 hour news channels out there. Al-Jazeera, News 18 India, France 24, NHK World, CNC World, and many more available on satellite tv, offer a different perspective from other regions of the world. Before moving on, I’d like to also mention the Iranian news channel, Press TV. At a time when here in the west we are being told Iran is the most dangerous nation threatening world peace, by Israel and it’s allies, I’m interested to know how they report world news. Frustrating then that our government has recently had Press TV removed from satellites broadcasting to the UK and parts of Europe, with help from Ofcom. Now I’m not going to defend Iran here, they also block european broadcasts coming into Iran, in a similar fashion, but I’d like to hope we were bigger than that. However you can still find Press TV on their website here, and there is again a free iPhone app available from iTunes here. I’d like to also point out that Iran hasn’t started a war with anyone for around 300 years. Regular video reports from all of the above TV channels can be found on what could be described as the central hub of ‘alternative media’ – that is, YouTube. Although now owned by corporate giants Google, YouTube nonetheless still provides a platform to all forms of news stories, debates, theories and discussion. As the content is uploaded freely by any individual, it is not restrained by some of the strict editiorial policies that mainstream news channels are. While this naturally leaves it open to abuse, and ‘crazy’ conspiracy theories, it should also be recognised as it’s strength. As I said earlier, do your own homework. Check facts, and do your own research. You may not have that freedom to do so forever, if censorship of free speech grows, so take advantage of your freedom to do so as long as you’re able to. A lot of you, if you start to check these YouTube channels out, will baulk away, laughing or being scared at what you’ll just assume are crazy conspiracy theories. The phrase has become something of a dirty one these days, but it should be remembered that at heart, conspiracy theorists are simply searching out the truth. For example, there are many major media events that continue to throw up and pose awkward questions, from the obvious such as 9/11, through many more such as 7/7 and some US shootings such as Sandy Hook, the Aurora ‘Batman’ shootings, and the recent tragedy at the Washington Navy Yard. There are some similar patterns in all of them too, for instance initial eye witness reports of extra shooters being conveniently forgotten when the mainstream media consequently report them, because they don’t fit the official ‘narrative’ being told. I, for one, am glad that there are people out there who refuse to accept everything they’re told without question, even if some of them may turn out to be delusional. So I’ll sign off with one last recommendation in this area, the YouTube channel of StormCloudsGathering. I think you’ll find his videos interesting, if you approach them with an open mind, but never forget to do your own research and check facts yourself. If it doesn’t appear to be your thing on first inspection, try a couple of videos, and then take it from there. Move on to other ones that are suggested via YouTube, or ones that simply take your fancy. Try to stick with it and not give up at the first hurdles. I can’t make any of you do this, but I urge you to stop watching and reading your conventional news outlets. Not forever, just for a week, maybe two. Use some of these other means. I think if you do, you’ll view traditional media in a very different light when you go back to them. I myself have really noticed much more bias, and leading directions of news items that I hadn’t done, before I tried this. You’ll probably also notice how full our news is with celebrities and sports stars, something I find not to be the case with foreign news I’ve viewed. This entry was posted on Tuesday, October 15th, 2013 at 9:10 pm	and is filed under News, Politics. You can follow any responses to this entry through the RSS 2.0 feed. You can leave a response, or trackback from your own site.